It was June 5 on the evening of the first State of Origin. Our party of 8 had come from all parts of Sydney so we decided to meet in a Surry Hills bar before heading out to Homebush. The mood was upbeat and there was a feeling in the air that we just might win this one. With every beer the confidence of a NSW win grew. But then the ANZZZZ mood killer kicked in. With time slipping away we quickly grabbed a final beer and started the painful journey to ANZ stadium. A train ride and forty minutes later we arrived at Homebush. Every passing minute on the train had sucked the exuberance from our souls. The vibe had dropped and all we wanted to do was get to toilets and take our seats. Once we entered a staff member dressed in heavy duty trekking boots and an oxygen cylinder around his neck offered to take us to our seats. ‘He smiled, placed two tampons in his nose and said right this way’. My confusion was quickly replaced with complete understanding as we began making the ascent. When we finally arrived at our seats, some of us were suffering from altitude sickness, nose bleeds and the acute side- effects of sobering up. Since leaving Surry Hills our experience had been painful, only to be compounded by having to summit Everest to take out seats. Obviously I have taken a bit of poetic license in the previous paragraph but the truth is our seats were so high up that you literally couldn’t make out the players on the field. We were forced to watch the big screens to make out what was happening. Regardless the blues played like champions and due to the latest advancements in LED big screen technology we didn’t miss a second of it. Despite all of this a win is a win. Our tyres pumped again we made our way out of the stadium on high, only to walk out into a sea of nothingness. Tumbled weeds rolled past and apart from a few shouts of triumph the place was completely soulless. The home side had just won the first origin in convincing fashion and it seemed everyone was looking for a way out. The one bar closes an hour after the final whistle and nobody wants to be stuck in Homebush after closing. But I wasn’t beaten. Just like big Gal I wanted to put in a whole 80 minutes. So I joined the huge queue for the train to make my way back to the city. Trying to stay positive I was told by a few punters in the line that I would be lucky to make it into the city within an hour. ‘My mum said she could pick us up if we needed it’. It was over. Even Big Gal has to concede to injury sometime. So three grown men between 35-40 years of age piled into the back of mum’s car and we made our way out of the stadium. ‘Mrs. Johnson can we stop at McDonalds? With that sad but unanimously supported request I knew our night was over. As I ate my McChicken in the back seat, I reflected on past origins and grand finals I had attended at the Sydney Football Stadium. The excitement started when you would meet after work for a beer at the Captain Cook, Bat and ball or any number of other bars near the stadium. Banter would start with friends and foes and continue until 10 minutes from kick off. Everyone would stream out of the pubs and filter into the stadium without concern. Even if you had the worst seats in the house they still had a great view of the action and you didn’t have to rely on the big screen. Regardless of the result there would be a flood of supporters walking across Moore Park and into the nearest pubs and restaurants with the atmosphere of the game still in the air. Having our major sporting arenas located in the City is a no brainer. Look at Melbourne and Brisbane. Attending sporting events in these cities is a pleasure because they are convenient. You leave Suncorp Stadium and walk straight onto Caxton Street. You leave the MCG and it’s a short walk or tram to the city. They are located in the city and egress is simple. ANZ has none of this. I have not met anyone that actually enjoys the trip to and from ANZ. ANZ is the ‘Canberra’ of football arenas. There is no vibe, no soul and it isn’t close to anywhere. Melbourne and Brisbane are known for their sporting faithful. I don’t believe it’s because they care more about sport it is just because their experience is more enjoyable. I loved the Sydney Olympics but the down side is that we are now stuck with facilities that we are being forced to use. Homebush will never be convenient. Period! It doesn’t matter how much the NSW government put into redevelopment of Homebush. You simply can’t polish a turd. Why wouldn’t you redevelop Moore Park? I tell you why. They over invested in ANZ stadium and now we are all suffering. 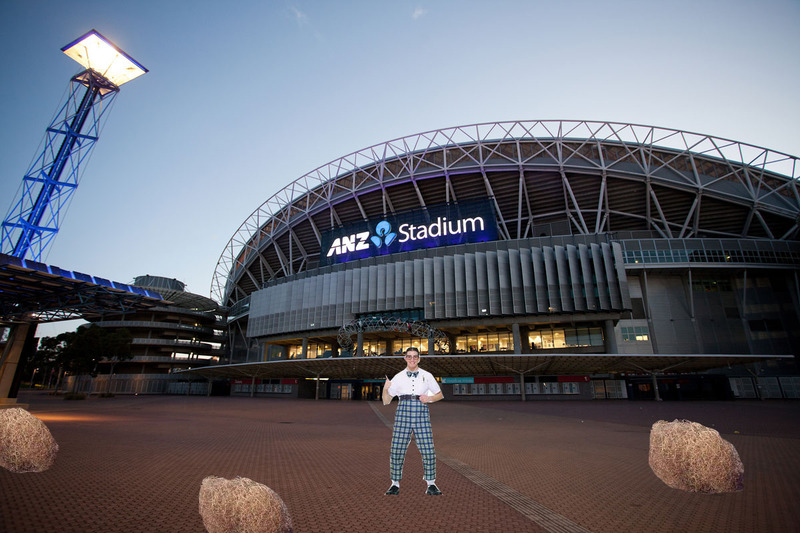 I will not attend another sporting event at ANZ stadium anytime soon and on the eve of Origin 3 I will be watching from my living room safe in the fact that I am not missing out on a brilliant experience. I will be content to stay at home and I don’t think I am alone in this thinking. In Australia’s best city this shouldn’t happen. The NSW government should bite the bullet and redevelop the Sydney Football Stadium. Increase the seating capacity, put a roof on it and bring the crowds back to the City. anti-virus program made it adoptable over a range of computer users. to be posted in the market. However, Secretary Donovan implied that the return of the homebuyer tax credit is definitely being looked at now.